Reconstructive jaw surgery, known as orthognathic surgery, is used to realign your jaw to correct certain skeletal abnormalities. For those needing jaw surgery to straighten or align the jaw, an oral and maxillofacial surgeon, like Piney Point, will perform the surgery using surgical plates, templates, and wires to move the jaw into its correct alignment. There are a number of reasons the jaw may need to be realigned, such as due to birth defects, TMJ pain, trauma to the jaw, or bite problems. No matter the cause, Piney Point Oral and Maxillofacial Surgery will provide the individualized treatment needed to align your jaw properly. 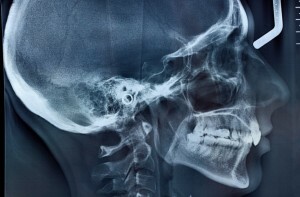 Why is Reconstructive Jaw Surgery Needed? Reconstructive surgery for your jaw can be needed for a number of reasons, such as natural defects to the jaw, TMJ, injury, tumors, or protruding jaw. When an improper bite is present and left untreated, it can lead to difficulties with everyday tasks, like eating and speaking. In some cases, it can even lead to sleep apnea, headaches, and joint and gum pain. The surgery consists of making small incisions inside the mouth to gain access to the jawbones. The necessary incisions are made into the bone to correct the alignment issues, which will be held in place using titanium screws and plates to maintain the correct position. Immediately after surgery, you’ll have the proper function of your jaw. If reconstructive surgery is needed, it’s best to wait until a person has stopped growing. According to the Mayo Clinic, it’s recommend girls don’t receive the surgery until 13 to 15 years of age, while boys receive the surgery between 16 to 18 years of age. However, with early detection and depending on the severity of the alignment issues, some orthodontics may be needed prior to surgery. Often, braces will need to be worn for a period of 9 to 18 months prior to surgery. Then, once you’re fully healed from surgery, your teeth will be realigned and the braces will be removed. Generally speaking, the entire process can take as long as 3 years. Using general anesthesia, the reconstructive surgery will take one to three hours depending on the extent of the reconstruction. Overall, there are few risks involved, which may include bleeding, swelling, and infection. In very rare cases, the bone or gums can be damaged. Once the jaw surgery is complete, there is usually a 1 to 2-day hospital stay. Afterward, home recovery can take about 6 weeks. You will have certain dietary restrictions and you must maintain proper oral hygiene. You may need postoperative orthodontic therapy for 3 to 6 months to make the final adjustments to the bite position of the teeth. Once the braces are removed, a retainer will likely be used to keep the teeth in place. Piney Points Oral and Maxillofacial Surgery provides the necessary procedures you need to correct jaw alignment concerns. We will provide a custom treatment plan based on your individual needs. Call us today at (832) 924-8142 to schedule a consultation.